We focus our representation on CAL FIRE firefighers and staff in Northern California. My car caught on fire in our garage. Because of the fast response time of CAL FIRE and the Arcata Fire Department, the fire was limited to the car. I have witnessed first-hand the dangers of the job. My family and I appreciated their swift response and professionalism. The counties we served are rural and challenging for finding help in many areas, therefore we extend our representation to Northern California for CAL FIRE personnel. Why Are Workers' Compensation CAL FIRE Cases Different? 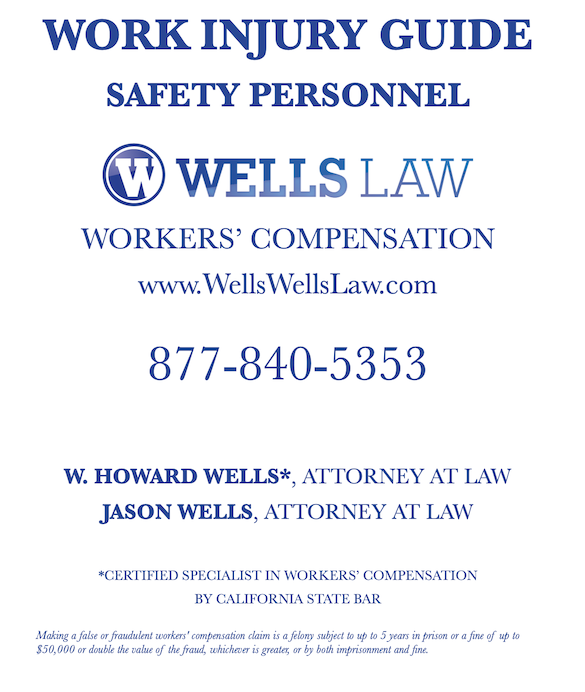 CAL FIRE work injuries are different than regular workers' compensation cases. Since CAL FIRE are state employees, they are CalPERS employees. Workers' compensation injuries can impact a person's ability to work, and this can raise retirement issues. CAL FIRE staff especially patrolman have special laws that assist in obtaining workers' compensation benefits. Regular workers' compensation benefits may not be the only consideration in a case involving a CAL FIRE employee. For example: We had a corrections officer (who is also a state safety employee like a CAL FIRE safety worker) who decided to retire based on general health. The majority of health problems were caused by the job and were found work-related. Either way this client was going to retire through service retirement and didn't even know about Industrial Disability Retirement (IDR). My suggestion was that they apply for Service Retirement pending IDR. If denied, they'll still be where they started. If approved, IDR is a significantly better option. This client would have never known about this benefit. Most workers' compensation attorneys don't even see the issue. That is why these cases are different; they raise different issues. Based on Government Code 19871, most state employees who are unable to perform modified duty or who are taken completely off work (very common with CAL FIRE officers, because modified duty can be difficult to find) get IDL in lieu of temporary disability. Not to be confused with IDL, Industrial Disability Retirement (IDR) is a benefit available to CAL FIRE employees (whose essential job functions are considered safety) who are medically eligible for retirement because of a work related injury. Understanding CAL FIRE employees' essential functions can be critical to a multitude of issues both in the workers' compensation system and other benefits provided by CalPERS. In safety cases, having an understanding of your essential job duties or your HR departments' job description on your safety position can be a critical part of handling multiple issues in your case. We recommend you obtain a job description from your HR department and review it to ensure that it accurately reflects your job duties; then provide a copy to your physician who is to assess your ability to do the job. Injuries involving heart, pneumonia, tuberculosis, Lyme disease, blood borne illness, cancer, MRSA, and biochemical exposure are given special consideration by workers' compensation courts for CAL FIRE employees who are safety workers. The heart presumption is a critical one to understand, because heart conditions often go undetected. Our recommendation is that before any corrections employee leaves their job either through change in circumstance or retirement, they have their doctor schedule an echocardiogram (EKG) and EBCT Heart Scan to make sure the heart is functioning properly, especially if the employee has had a history of hypertensive disease. If not, the heart presumption can help get you workers' compensation benefits if there is undetected symptoms.